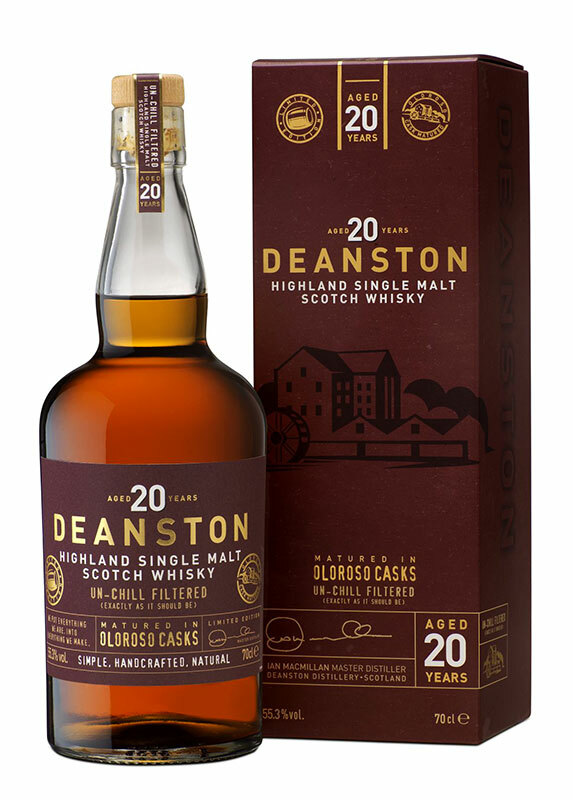 Back to reviewing the new limited editions for 2018 from Distell distilleries and after reviewing earlier today the Deanston limited edition for 2017, we’ll now focus on the 2018 edition, the Deanston 2008 Brandy Cask Finish. Like its predecessor, it’s a 2008 vintage matured for almost 8 years in ex-bourbon casks and then trasferred to Brandy casks for two years before being bottled at 56.4%. No official bottles count was released but availability seems somewhat limited comparing to the Bordeaux from 2017. This entry was posted in Whisky Reviews and tagged Deanston on October 11, 2018 by Yoav @ Whisky Gospel. Taking a very short breather from Distell limited releases 2018 collection because the next review should be the Deanston 2008 Brandy Cask Finish but it seems like I forgot to publish my review for the 2017 limited release, and since they are both 2008 vintage, why not start with the Bordeaux from 2017 and then we can resume the regular programming and the Brandy from 2018? As I said, the 2017 limited edition for Deanson was a 2008 vintage that was fully matured in Bordeaux red wine casks. It was quite a big release with 3,240 bottled at 58.7% and it’s still widely available in shops across Europe. Personally I had hard times to like this whisky on my first tasting but thankfully I re-tasted it a few (and then a few more) weeks later and the air exposure did wonders to this whisky. Nose: Malty, gentle red wine with soft tannins lurking behind. wood spices, It’s kind of muted and restrained at first tasting but after a while there’s some leather, spicy wine. Takes a while to settle down and upon returning to it few weeks later it improved significantly with baking spices, subtle sweet and rich red wine, dried raspberries and nuttiness. Last night we had a very interesting whisky at the BTC 2017 event. 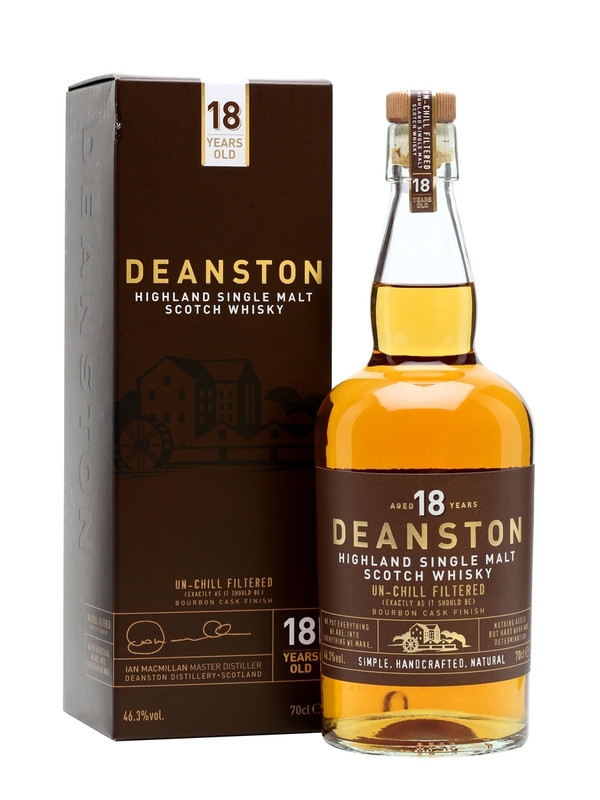 For the 8th day we had an 8 year old whisky matured in wine cask from Deanston distillery. This young handfill (bottled on 23.09.2017) whisky was quite whacky, delivering a leathery profile I’d usually associate with old mature whiskies and this is how I tried to guess. I also whiffed on the ABV as it carried a far higher ABV statement then what I felt. Thankfully I did get the region correctly, phew! This entry was posted in Whisky Reviews and tagged Deanston, Handfill on December 14, 2017 by Yoav @ Whisky Gospel. Burns Stewart Distillers were busy last year with many new releases, from the 18yo for Deanston and Ledaig up to the 42yo Ledaig. I have found out (via Michael) that BSD official importer in Israel managed to bring a few crates of those new releases so it’s a good excuse to review some of them. Nose: Cereals, porridge and butterscotch, sweet honey and creamy, light vanilla, hay and meadow, almost flowery (but not), hints of huge spice to come on palate with white pepper as a teaser, nutty/almonds, pears and peaches and sweet oak. Thoughts: Surprisingly better than I expected as the sweetness from the first fill barrels finish is balanced elegantly with the oak bitterness. The bottle price in UK is very reasonable and would recommend one for that price but the price in Europe and in Israel (around 110 Euro) is too high. Too bad. This entry was posted in Whisky Reviews and tagged Deanston on March 15, 2016 by Yoav @ Whisky Gospel. So after 2+ years of dreaming, 6 months planning, October 2013 arrived and I finally embarked and went on my first ever whisky trip. I wasn’t alone and took with my my good friend Rotem and together we went on a 8 days tour of whisky and some music. So after 2 flights with lengthy night layover in Istanbul we arrived to Edinburgh, rented a car and went up north to Speyside. This entry was posted in Whisky Reviews and tagged Deanston, Scotland October 2013, Tour on November 5, 2013 by Yoav @ Whisky Gospel.